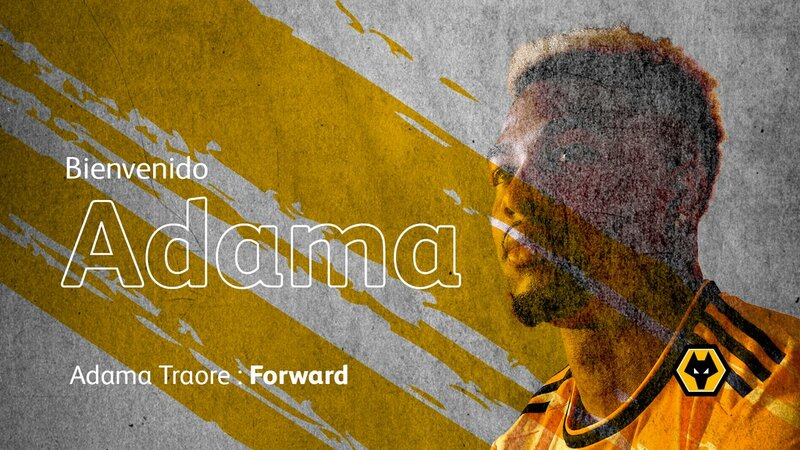 Spanish winger Adama Traore has joined the revolution at newly promoted Premier League side Wolverhampton Wanderers. The 22-year-old becomes a Wolves player after transferring from Championship outfit Middlesbrough for a fee of around £18m. He has signed a five-year deal to become the club’s fifth signing of the summer after Portuguese goalkeeper Rui Patricio, Jonny Castro Otto, Joao Moutinho and Raul Jimenez. Traore progressed through the Barcelona ranks before making a handful of appearances for the Spanish La Liga champions. He left the club in 2015 for a loan spell with Aston Villa and thereafter joined Middlesbrough on a permanent deal in the summer of 2016. Adama Traore was named the club’s player of the season after scoring five goals and ten assists to lead the Championship side to the playoffs before they were beaten by his former club Villa in their semifinal tie. He has represented the Spanish national team at youth level.